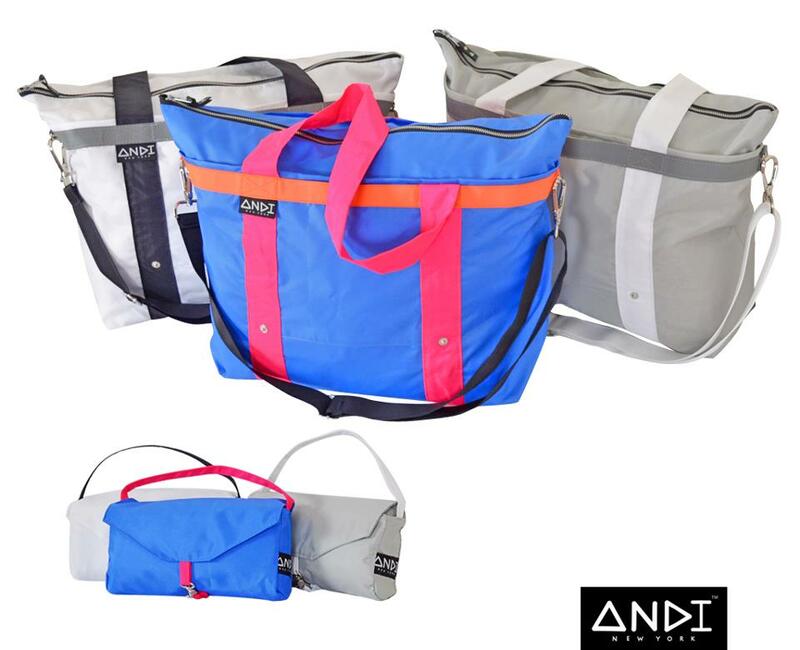 It took a big thinker, a traveler, and a tom-boy at heart to come up with the idea behind the Andi Bag. 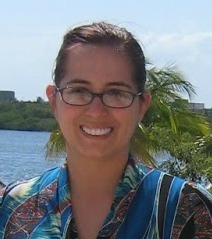 Andrea Weinberg moved to New York City after graduating from college. Managing life in a big city meant struggling with the everyday problems faced by a young woman of limited means who was building a corporate career. After splurging on the purchase of her first nice handbag, Andrea began to worry. What would she do if she were caught in an impromptu rainstorm? How could she protect the bag and the contents inside? That is when the idea hit her: a bag that acted as a waterproof cover - like a raincoat for your purse - that could then fold up very small into itself. As Andrea began to design and to prototype the Andi Bag, she discovered that it would work to do more than protect other handbags. It was a bag for beach days, travel days, work days and work-outs. It was crucial to her that the Andi Bag be more than practical: it also had to be stylish, chic, comfortable and smart. 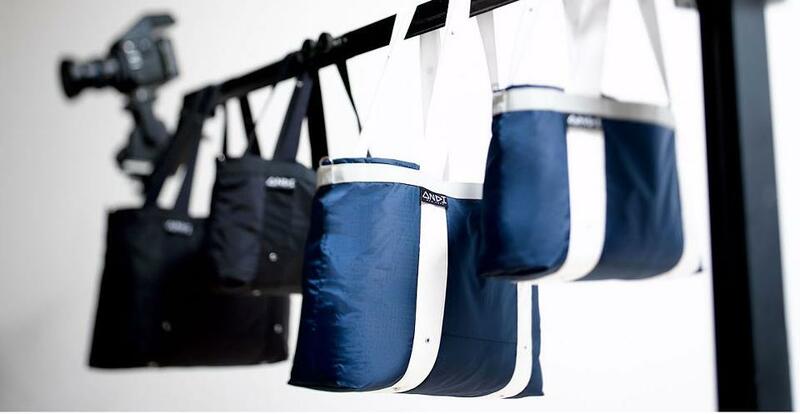 Working to make it the perfect bag for an active life, years of refinements have followed turning the Andi into the “super bag” that it is today. Andis now feature new fabrics, an outside pocket, a luggage strap, three inside pockets (including a secret pocket and a catch all to solve the “why can’t I find anything in this bag?” problem), a cross body strap, handle closures and an even easier folding process. Your Andi is there for you - holding your coffee in the morning, slipping over the handle of a suitcase, converting to a backpack, all while leveraging its heavy-duty yet ultra-light weight construction for ultimate comfort. The Andi is a labor of love and it is our hope that it will inspire you to adventure, to make every day count, and of course - to be nice to yourself :). Have you even gone on vacation and bought something and wondered how the heck am I going to get this home? We just had that happen to us, we were in Anaheim and we were wandering around pretending to be locals and we happened upon a toy/collectible shop that was loaded to the brim with things my husband wanted to come home with.... Well I am getting a little ahead of myself here.. let me show you how great this is as a small bag. I was able to carry the small version of the bag a a purse, fitting my phone lip balm and park tickets. Sure this is a great small bag, but like I said this is so much more! Of course my husband shopped shopped shopped in CA, and he came accross the deal of his dreams, I'm not kidding his eyes got as big as saucers and I'm pretty sure he began to drool.......moving along, he was fixated on an item in a locked glass case and once he was able to grab the salesman's attention I saw him walk up to the counter and pull out cash. My husband bought a 12” Luke Skywalker figure that was complete and in its original box for a steal. We looked it up on eBay and it was a steal. As he paid for it he wondered out loud how the heck was he going to get it home and keep it in great shape? That's where I stepped in and looked like a heroine! I packed something in my bag as a just in case kind of thing and I'm glad we did. What did I pack? My BeachBestie bag from Andi's (.) The beauty of this bag is that it folds up so small you literally can carry it in your back pocket but once unfolded this bag is large and has plenty of room to hold well a boxed 12” action figure wrapped in bubble wrap! On top of being a life saver the bag is bright and vibrant and fun to carry. It would be my daughter's job to carry the bag on the airplane and she took it seriously because that bag contained something important to her daddy and she made sure she took great care of it through the 3 airports we hit on the way home. Big, roomy, colorful, converts down to nothing and expands into awesomeness. The bag has regular handles and it also has a strap that clips on so you can wear it over your shoulder or across your body. I honestly don't know what we would have done if I hadn't packed my Beach Bestie, this bag was a life saver. If you're looking for an extra bag to bring along on vacation but you want to be able to save space visit Andi's, big bags that fold up into a compact size and comes in a variety of colors and if none of those colors strike your fancy you can design your own bag from head to toe to suit your style! Believe me when I tell you this is the bag you want to travel with and bag that can go from small to large and take up no space is something you want in your travel arsenal. So if you are looking for a great travel bag that is so much more than your usual travel bag and ANDI bag is just what you have been looking for. And all Andis are handcrafted with love by happy people in Brooklyn, NY. So that is great that they are made in the USA. You can purchase a pre-made bag or fully customize and make your own bag. Do you love hot pink and blue, you can design the bag using any colors you would like. From a classic white bag to a bag that may match your favorite school or teams colors it is up to you. The generous folks at ANDI are giving one of Susan’s Disney Family readers a chance to win a customized (by you) ANDI bag! This is a $160 average value. Would you like to win? Please visit the ANDI site, take a look around then come back here and tell me what colors you would use for the bag you would love to make. There are also other ways to enter, please enter below. Disclosure: The reviews and or opinions on this blog are my own opinions . I received a bag to review. No monitory compensation was received. I was not required to write a positive review. Your experience may differ. The opinions I have expressed are my own I am disclosing this in accordance with the Federal Trade Commissions 16 CFR Part 255: Guides Concerning the Use of Endorsement and Testimonials in Advertising . I would choose the 80's Goddess. This is really a great idea. I'd love the black Andi bag with a blue handle. I like the totally awesome color combo ( I think it is navy and green and a pink). Anything with yellow, it's my favorite color. Love the hot pink and black! I like purple and periwinkle. i would like the black and gray bag, thanks. I want my bag in Turquoise and Purple. I want my bag to be turquoise and purple. I would want my bag to be gray and pink! I would choose Ultrasmooth Royal for the body, Love 200 Hot Blue for the handle, and Ultrasmooth Black for the accent colors. I'd love it in Ultra-Smooth Royal Blue. I am entering this for my mom so I would let her pick the colors. I would choose the 80's Goddess, the black with the pink straps. The body would be UltraSmooth Black while the handle and accent is Demin Blue. Congratulations! You have selected a unique feature combination and created an ORIGINAL BAG DESIGN. NAME: If you don't want to enter a name at this time just leave this box blank. I like the main part of the bag to be in UltraSmooth Black while the handle and accents are in Demin Blue. I would choose Blue, Hot Pink and Orange. I would like the super square black body with ultra smooth-balck handle & love 400 dark brown accent! I like the colors in the 80s Goodness bag. Black, pink and white.